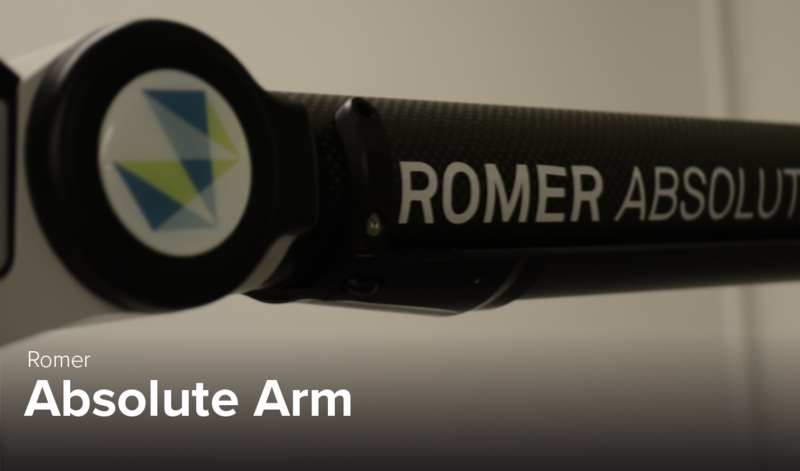 The ROMER Absolute Arm takes precise measurements and may be used for quality control, inspection, on-machine verification, reverse engineering, virtual assembly, or 3D modeling. It features absolute encoders and is therefore the first measuring arm which does not require referencing before measurement. When the arm is turned on, it's ready to go. Volumetric accuracy ± 0.044 mm / 0.0017 in.